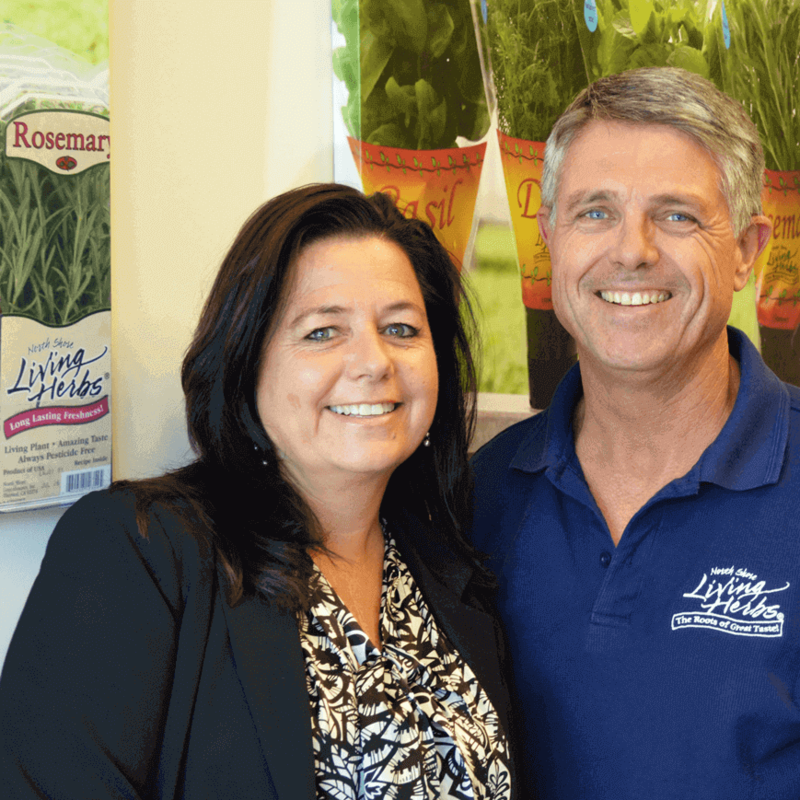 When Suzette and Leo Overgaag built their first greenhouse nearly 30 years ago, all they wanted to do was to raise their family and grow the freshest produce available. They never dreamed that their journey would take them from growing commodity vegetables to becoming a pioneer in the development of culinary herbs, and that their business would expand to cover 10 acres of the Coachella Valley with hydroponic greenhouse space. They also didn’t dream that they would have robots in their workforce. Technology has been a big reason why North Shore Living became the first culinary herb grower in the US to gain third-party certification as a sustainable grower. In addition to utilizing robots and machinery for more efficient production and packaging, they have a vast field of solar panels to power production activities, and geothermal energy to heat their greenhouses on the cool desert nights. North Shore started out taking care of their own IT systems, but as they grew, so did their needs. They were using the services of a different IT company when Leo and Suzette met Marty Kaufman, founder of Accent Computer Solutions, through an executive peer group called Vistage. What they heard from Marty about the way his company implemented IT services raised questions in their minds about what they were getting from their current provider. Unlike other IT companies, Accent delivers IT support through their proven process, called the IT Results Cycle. An important piece of the cycle is close communication to identify potential issues or bottlenecks. As North Shore has been adding technology to improve operations and streamline production, Accent has been there to make sure that the infrastructure can handle the growing number of connected devices and machines. In addition to making sure that their network can support new technologies as they are added, Accent has also helped North Shore dramatically improve the way they manage business risk by implementing robust backup and disaster recovery procedures, and protecting the business against cyber attacks with layered technical defenses. Additionally, management meets with their Accent vCIO on a regular basis to plan and budget for future IT investments. Innovation has brought North Shore Living success and made them the leader in the herb market with their “Living Herbs” product. Who knows what lies on the next level of growth for this company whose founders aren’t afraid to create their own opportunities. Whatever it is, Accent is there acting as their IT business partner to scaffold their dreams and plans with reliable technology that they can grow upon. North Shore is the proud grower and packer of premium, living culinary herbs and greens. At the root of everything we do is a culture of innovation, quality and utilizing earth friendly practices. In fact, our roots are so important that we leave them on all our consumer packaged products so they are delivered on shelf as the freshest herbs available. We continue to be a leader in greenhouse innovation. North Shore offers a fun, collaborative work environment where everyone is invested in the overall success of the company. Our team members feel valued and recognized for their hard work. Be a part of the growing produce industry and the increasingly important healthy lifestyle consumer sector.